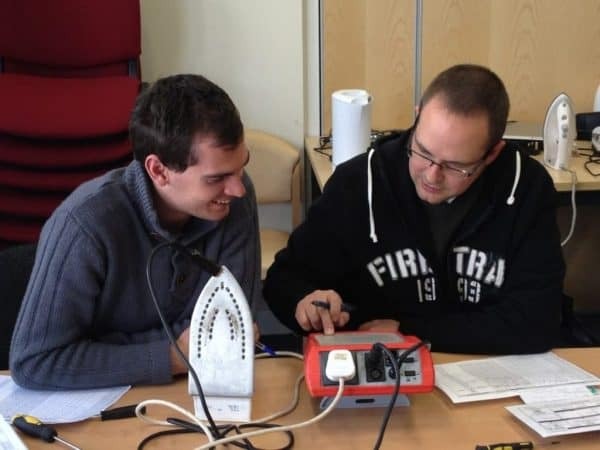 The aim of this 1-day Portable Appliance Testing (PAT) course is to ensure learners have the necessary skills and knowledge to perform the task of PAT testing. Our 1-day course is very popular, it is designed to save your business, time money and hassle. If you currently have PAT testing equipment, we will base the practical part of our PAT course on your PAT tester. If you do not have a PAT tester we can bring a variety with us to complete your PAT test training. PAT testing is one of our most popular courses. For businesses looking to conduct PAT testing in-house, this can be a massive saving of cost, for people looking to add an income stream it is also a great option. PAT testing is a skill that can be learned by almost anyone such as office and maintenance staff or landlords. In a commercial environment, regulations insist that every item of electrical equipment is tested and certified as being safe to use.